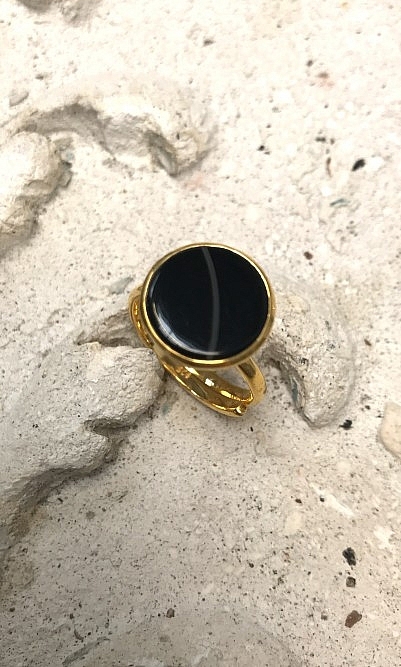 Striking black agate gemstone set on an adjustable, thinly-cut gold band, perfect for stacking and layering. Made from gold plated sterling silver. Stone dia 1cm.